Another one from the Sunshine Coast Daily. Not only was the perpetrator completely erased from the headline, the violence itself was minimised and the cause attributed to pizza. 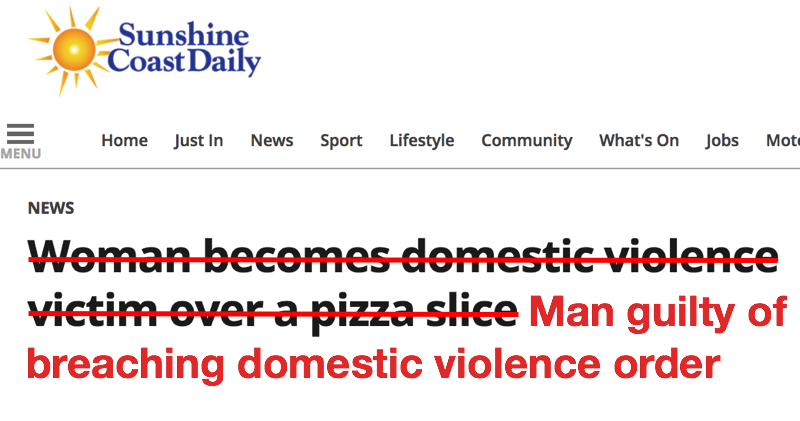 Domestic violence is caused by a number of complex interwoven factors, but pizza is just not one of them. Even the suggestion that it could be is damaging to public understanding of a horrifically prevalent scourge and demeaning to the victim.